A South Florida businessman wanted to rebuild a Caribbean airport. How things got bungled. Antonio Assenza is a prototypical high-achieving South Floridian. A successful businessman who came to the United States from Venezuela in 1990, he runs a local construction company and has a 5,000-square-foot house behind a wall of hedges and palm trees in Parkland. So how did he become tangled up in a scandal rocking the tiny Caribbean island of St. Lucia? That’s what St. Lucia’s government wanted to know. It has made multiple requests for help from the U.S. Justice Department in an effort to investigate a bungled effort to revamp the island’s ailing international airport. Court filings allege a tainted arrangement between a company run by Assenza, called Asphalt and Mining, and three key government officials — one of whom is now the prime minister. It is a convoluted tale of alleged bribery attempts, an eyebrow-raising flipflop by government officials, misfiled requests for U.S. investigative assistance and a rotating cast of political insiders and outsiders with different agendas. In the end, the $157 million airport renovation never took off. At least not yet. An investigation into the award of the lucrative airport construction contract was supposed to be hush hush, and it was — until a year ago. That’s when a request for assistance under an agreement called a Mutual Legal Assistance Treaty — a request that was meant to be kept under seal — was instead filed publicly in the Southern District of Florida and then picked up and published by the financial monitoring website OffshoreAlert. “St. Lucian authorities believe that the facts are indicative of a criminal agreement between Assenza and public officials in the government of St. Lucia regarding this public works project,” reads an internal Justice Department memo, part of the inadvertent release. No one has been charged with anything and Assenza says he did nothing wrong. The airport fiasco has, however, thrown a wrench into one of the largest public works project ever in St. Lucia, a tropical paradise where investors with enough money can buy their way to citizenship and 65 percent of the economy is tourism based. The avocado-shaped nation is smaller than Lake Okeechobee, with a population of roughly 180,000 and the world’s only drive-in volcanic crater. Assenza chalked up the investigation to “political mongering” in advance of an election, telling the Herald “this method of political campaigning is common in a number of Caribbean and South American countries.” The businessman, who has carried out tens of millions in dollars of South Florida water and sewer contracts under different corporations, was drawn to the Caribbean when work dried up in the United States during the financial crisis. He set up companies in the Bahamas, Panama and St. Lucia. Assenza said he has not been contacted by St. Lucian authorities and hadn’t seen the published court filing. 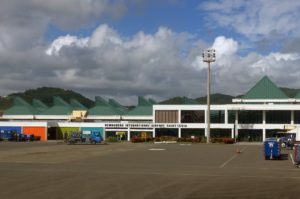 The $157 million project to rebuild the airport — a cost the equivalent of 12 percent of St. Lucia’s gross domestic product — was announced in 2009. Assenza decided to submit a bid. His company, Asphalt and Mining, was ranked last out of three bidders by the country’s Port Authority, which might have been the end of that. But the St. Lucian investigation found that Guy Joseph, the public works minister, was not happy with the result. Joseph, who would later be accused in a radio rant by a political rival of attempted bribery, sprung into action, presenting new details on the Asphalt and Mining plan to the Port Authority, according to the court filing. he Port Authority reopened the process and declared Assenza’s company the winner. The opposition party suspected foul play. When it took back power a year later, the new government opened an investigation, hiring forensic accountant Bob Lindquist. Lindquist’s investigation found more than 200 calls between Assenza, his business partner and three key government officials — Joseph, Port Authority Chief Sean Matthew, and tourism minister Allen Chastanet — in the months leading up to the initial contract award in 2009. The majority of the calls were made before the request for bids was even announced. The investigation did not find any calls to the other two bidders during that crucial time. When asked by the Herald about the calls, Assenza noted that the majority did not involve him personally, and besides he had proper cause to communicate with the government because he was separately working on other public roads projects on the island. Indeed, the investigation found most of the calls involved Assenza’s partner, a St. Lucian businessman who was close friends with Joseph. Chastanet, Joseph and Matthew did not return interview requests. The airport plans moved forward slowly. Then, in 2012, Assenza’s financing fell through. “Never did know official reason for financing rejection,” Assenza said in an email, offering his view that the $157 million contract was simply “too large” for a country of St. Lucia’s size. The St. Lucia investigation began soon after the bank backed out, citing a failure by the applicant to meet due diligence requirements. Hewanorra International Airport, the main entry point for tourists, has a single runway and has gone largely unchanged over the past 40 years. The renovation would add a new terminal building, widen the runway and install the country’s first jetways, giving the airport the capacity to handle three times the current number of annual passengers. As part of the investigation, St. Lucia made several requests for assistance to the Justice Department starting in 2014, seeking phone, travel and email records for Assenza, Joseph and Assenza’s St. Lucian business partner. Kenny Anthony, the prime minister whose government made the requests, said little has come of those. Anthony left power in 2016 when, in a snap election he called, his party was defeated and Joseph and Chastanet reentered the cabinet. St. Lucia’s probe came to an abrupt standstill, but not before Lindquist had produced a 935-page report. It hasn’t been released. Lindquist’s efforts, however, led to the request for aid to the United States. The St. Lucian government has yet to divulge any findings, and the investigation’s completion is in question. “I would be most surprised if the government of St. Lucia continued to support the investigation,” Anthony, the ex-prime minister now on the outs, told the Herald in an email. The request for help was delayed in the United States throughout 2016, in part because it was initially misfiled. An order for phone records from Assenza’s “954” number was first filed in the federal court of Kansas, although “954” is a Broward prefix. Globetec enjoyed a regular stream of government water and sewer contracts until 2013, the year MasTec sold the company. A MasTec spokesman said the botched airport contract had nothing to do with the sale. He told the Herald neither MasTec nor Globetec had “any involvement” with the airport project, and Assenza said MasTec had no interest in the Caribbean projects at the time. Assenza did, however, use Globetec resources to conduct his business in St. Lucia. Records obtained in the St. Lucian investigation include emails about the airport contract sent from the accounts of three Globetec addresses and calls with St. Lucian officials from Globetec phones. In an annual report, MasTec said the 2013 sale had to do with Globetec performing poorly in recent years. 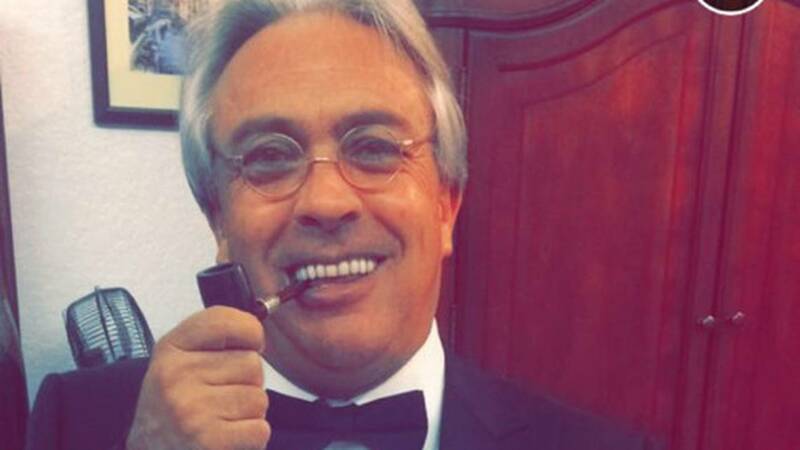 As the troubles mounted, Assenza’s lifestyle began to catch up with him. American Express sued Assenza for $240,000 in unpaid credit card expenses in 2014. The next year, he was sued over a nearly $250,000 debt by Mayors Jewelers, where he purchased a number of high-end watches. Assenza’s Florida construction license expired in 2016, according to state records. The same year, three banks foreclosed on two houses he owned in Broward County and a condominium he owned in Miami-Dade, according to court records. In a letter to a judge in one of his foreclosure cases, Assenza detailed how he had fallen on hard times in 2014 when his ventures in Panama stalled. Assenza told the judge that as of 2016 the Panama projects were back on track, and he promised he would resume paying off his mortgage debt. Records show he did. All three foreclosures were vacated. Globetec also fell on hard times. As of this year, Globetec owes the federal government $177,000, according to two tax liens on file. Globetec’s board has dwindled from six members, including several Mastec executives, to one man: Assenza. The company is now registered to his home address. In St. Lucia, the picture may be brightening. Allen Chastanet, the former tourism minister who lost his position in 2011, is back in power — this time as prime minister. He has publicly declared, despite the voluminous request for investigative assistance posted accidentally, that there is no investigation. Yes, there is, said Guy Joseph, now minister for economic development and the man who pushed aggressively for Assenza to get the contract and was accused by foes of facilitating bribes. He said it will prove his innocence. The airport project is moving forward again. Chastanet recently announced funding had been secured and construction would commence. He did not identify the contractor. Why the fellas can’t just do these things fairly? Why favour one company over another? Just do your job as a minister and stop taking bribes man. Selling out St. Lucia so that the next generation has to pay for your selfishness.